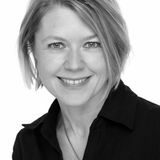 “In the autumn of 2005 I was contacted by my publisher who asked me if I would like to put together a cross section of my authorship to mark the occasion that in 2006 twenty years have passed since I made my debut as a fiction writer. At first I was hesitant. The task seemed both pompous and daunting. But then I became more excited and found myself thinking that perhaps there is something here that I can present again, something I can put into an entirely new context. One criterion in particular has been crucial to the selection: All 64 texts in this collection had to be readable as independent pieces, regardless of the context from which they were taken. It is, as we know, not easy to extract a single paragraph from a novel, but people at the publishing house argued that when it came to large parts of my authorship, doing just so might indeed be possible. In retrospect I agree. My books are often composed of a number of more or less independent elements – riddles, fairytales and stories – and often consist of one layer upon another. It is my hope that the arrangement of this selection of texts will allow them to play into each other in such a way that they are given new life, and sometimes a different – and perhaps greater – meaning than they had in the context of the books from which they were taken. This, at least, has been my intention. I have played around with the texts like a game of solitaire. Contemplating existential questions is the common thread linking all of Jostein Gaarder’s works, and his treatment of universal topics engages readers of all ages. To mark that 20 years had passed since Gaarder made his debut as a writer of fiction, Aschehoug Publishing House asked him to assemble a book of some of the highlights of his authorship. Checkmate is a collection of riddles, fairy-tales and stories that demonstrates just why Jostein Gaarder’s books are read all over the world. It reveals the depth and originality of books such as The Diagnosis, The Solitaire Mystery, Sophie’s World, The Christmas Mystery, Through a Glass, Darkly, Vita Brevis, Maya, The Ringmaster’s Daughter and The Orange Girl. In addition there is a newly written essay entitled Is consciousness a cosmic coincidence?. 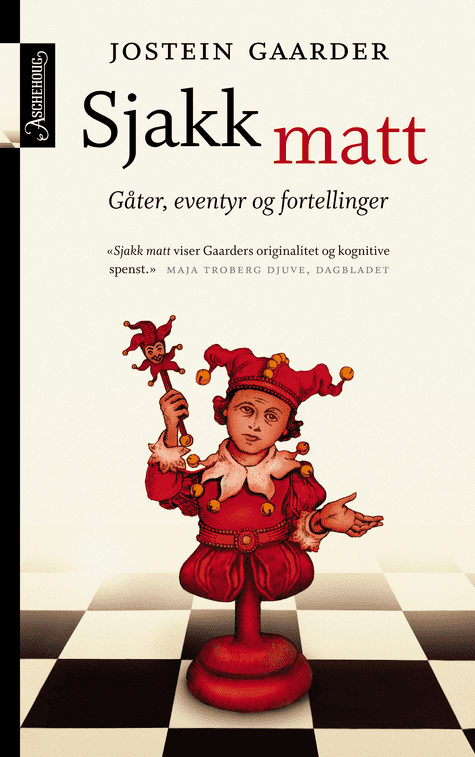 For readers who are new to Jostein Gaarder Checkmate can be read as an introduction to his authorship; for all those who have already been enriched and enthused by Gaarder’s literary universe it will shed new light on familiar passages. Jostein Gaarder’s books have sold an incredible 50 million copies worldwide. It began with Sophie’s World, a book that has earned a unique status in the history of Norwegian literature – translated into more than 64 languages and the world’s most widely sold book of fiction in 1995.